Do you have great listening skill, have talent to act informative and evaluate people? If you say yes telephone mystery shopper is a right job for you. Call center QA pays $5 for every telephone mystery shop completed. Each call typically lasts for 6 – 10 minutes. I think this is the simplest job to earn $5 in just 10 minutes and it is the right job for busy people like college students, company workers, parents… to earn some real money to buy some beautiful chrismas gifts. Join mystery shopper today and start earning by just attending calls and extra incentives for filling forms. Mystery shopping is a process of evaluating the products / service of a company which is conducted by the company itself or secret organization or market research companies. Mystery shopping are conducted to evaluate the quality of products or services. The results are used to improve their quality of service and products in future. This is similar to the paid survey. But technical comparing to the normal survey job. The identity of mystery shopper will not be know externally. Mystery shopping is also done in various methods like survey, making phone calls, purchasing products etc by mystery shopper based on the nature of the project. Though companies conduct mystery shopping internally where secret company staff will be the mystery shopper, major organization conduct external mystery shopping spending millions of dollars where someone in the public will be the mystery shopper. Organizations do not directly hire such people instead they give it as project to some company (ex. call center QA) which acts as mediator. The company will process the project using mystery shoppers already hired by them. The company will receive fund from organization for project completion and pay a part of it to mystery shopper. No previous experience is required and particular education qualification is not a requirement. You should be 18 + years old to apply. Individual with right set of skills with excellent telephone presence are highly expected. Require some good writing and language skill. Though there is no specific work time. It is recommended to make yourself free whenever a job is available. You can join for free without investment. To apply, call center QA does not charge any registration fee. Go to call center QA registration form – click here. After completing your personal details you will be asked to fill the type of mystery shopper you’re interested in. If you do not wish to attend the call tick only online mystery shopper. In the next step select the fields in which category you are interested in to work as mystery shopper. After filling full form click submit. 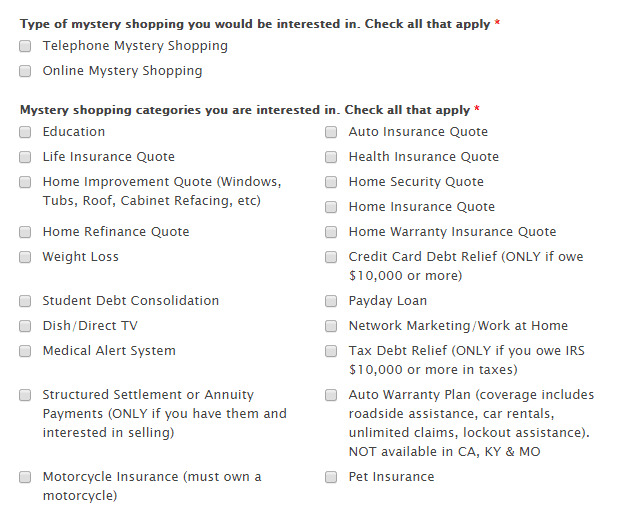 To apply for telephone mystery shopper you should be a US resident. Currently workers from other part of the world are not allowed to apply for this job. After submitting registration form you should qualify in the two test calls. And after manual review your account might be approved or rejected. You can start working once your application is approved. You can earn $5 by completing the telephone mystery shopping and $2 for completing online mystery shopping. You can withdraw you earnings through Paypal. Payment will be completed within 7 business days. To Apply, click here – Call center QA. Tags : Earn money through telephone mystery shopping on call center QA at home in part time.